On Sunday 29 March we attended the National All Styles tournament in Sydney. 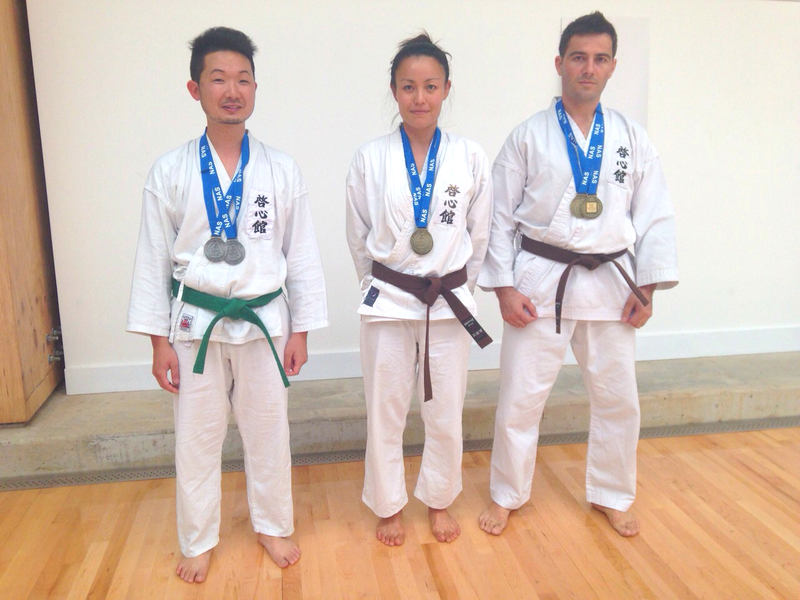 Kei Shin Kan had excellent representation with 3 students competing in a total of 6 events. Our students did outstandingly winning first place in four events and placing second in two events. All students had great results, especially Shingo with a great performance for his first tournament. Everyone left the tournament with expanded experience and appreciate of the focus, calmness and challenge of competing in a tournament, against opponents of various disciplines and the pressure of judges and crowds. Overall a successful round at the 2015 National All Styles Tournament.